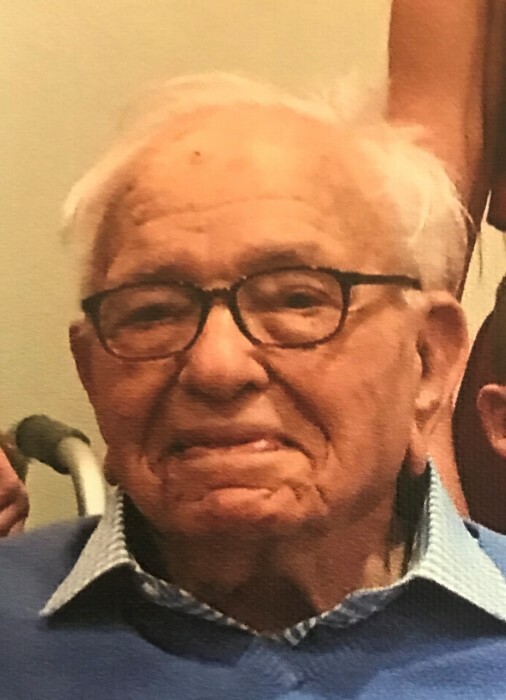 Welton Grant Farrar, 95, Dallas, passed away, Wednesday, August 15, 2018 at Wilkes-Barre General Hospital. Born in West Newbury, Massachusetts, he was the son of the late Edward and Hazel Neily Farrar and was a graduate of Groveland High School, MA. He earned his degree in economics from the University of Pennsylvania, He continued his education at Harvard and Cornell. Welton was a beloved Professor of Economics at Wilkes University for over 40 years. He was a member of The Dallas United Methodist Church and was a veteran of the Navy serving during WW II. He was also a member of George M. Dallas Lodge #531, F&AM, Life member Irem Shrine, Disabled American Veterans, and American Contract Bridge League. Welton was an avid supporter of Wilkes athletics, a longtime fixture at football, basketball and wrestling events and was elected to the Wilkes athletics Hall of Fame. He was an expert bridge player and made many friends at the bridge table who meant so much to him. Welton was also an avid Boston Red Sox fan and a proud member of Red Sox nation. He was preceded in death by his first wife the former Esther Shoulsen in 1986 and second wife the former Elizabeth Havey in 2002. Surviving are his daughters, Penny DeLaughter and husband Archie of Hilton Head, SC, Linda Pendleton, Ledyard, CT, sons, Stephen and wife Colleen of Cary, NC, Edward and wife Nancy of Fort Worth, TX, and sister, Dawn Ayer of Hampton, NH. Our family is eternally grateful to Betty Doherty for her care, love and companionship over the last years of Welton’s life. In addition numerous nieces and nephews have fond memories of Uncle Welton. Welton was especially proud of his ten grandchildren and 12 great-grandchildren. Welton was truly a one of a kind individual, possessed of a phenomenal memory which never ceased to amaze his family and friends. More importantly he was eternally optimistic and this he cheerfully shared with all to whom he came into contact. He was a gentleman in every sense of the word. Family and friends are invited to an informal celebration of life gathering Saturday, August 18, 2018 from 12-3 PM at Irem Country Club, 64 Ridgway Drive, Dallas, Pa. 18612. In lieu of flowers the family suggests that donations may be made to Wilkes Athletics in Welton’s honor.